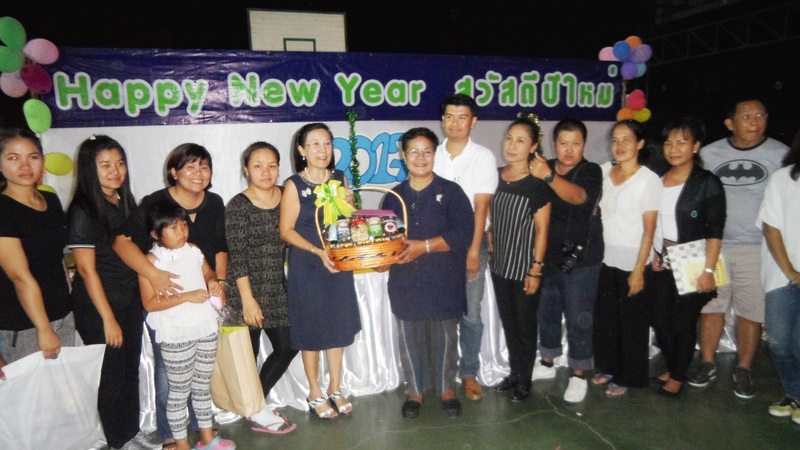 The children of the Protection and Development Center celebrated a boisterous and colorful New Year at a party organized by the Human Help Network Thailand. 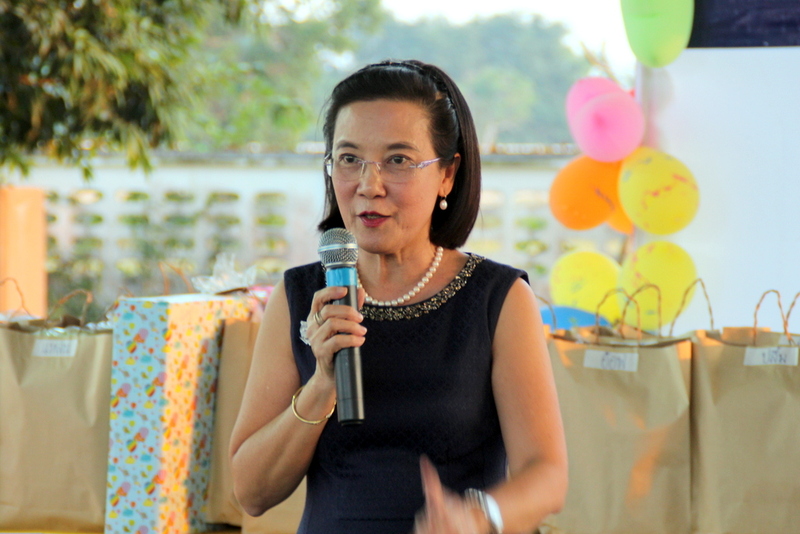 Radchada Chomjinda, the soul and director of the Human Help Network Foundation Thailand. HHN Director Radchada Chomjinda hosted the celebration for both children and CPDC sponsors. Otmar and Margret Deter brought Rev. Christian Liebe along to the fest, and fellow sponsor Ing Loviza Leander invited his daughter from Sweden while Alfred and Lidika Sowik from Germany also attended. Alfred and Lidika Sowik with their two godchildren. 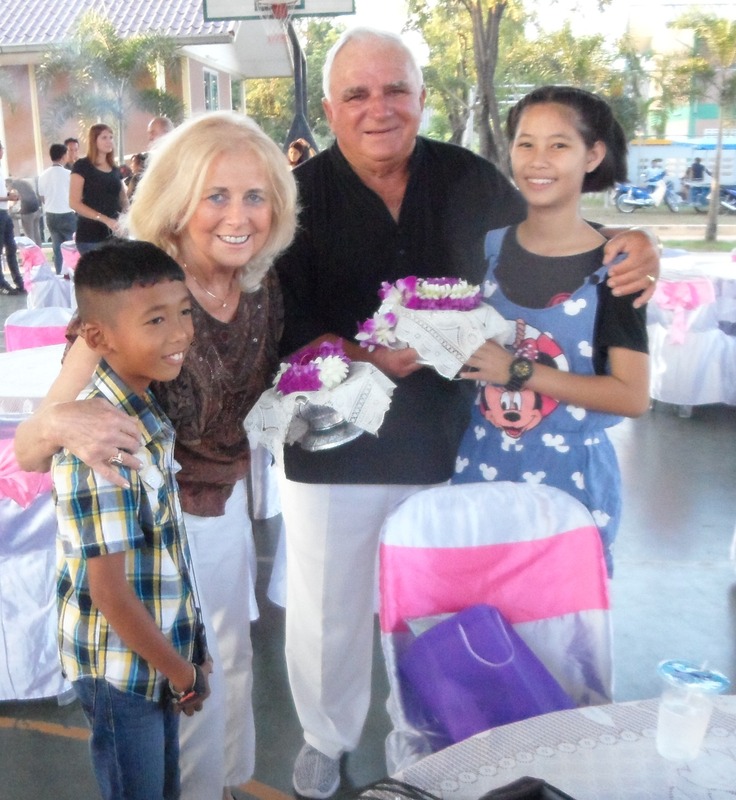 Organizers had set up fancily decorated tables for children and guests to dine and long tables stood at the side with lots of presents, since it is the tradition in Thailand to give gifts for New Year’s. 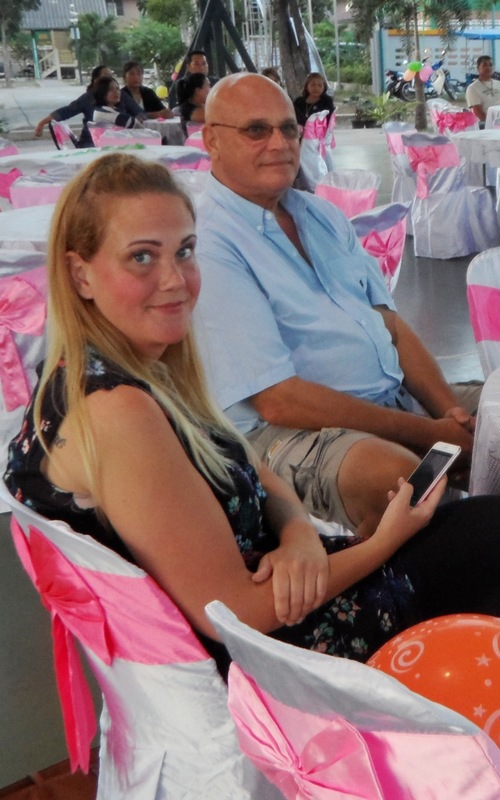 Ing Loviza Leander and his daughter. On the other side of the big hall long tables were set up with all kinds of food and after Radchada made her bilingual welcome speech, everyone went there to satisfy their hunger. 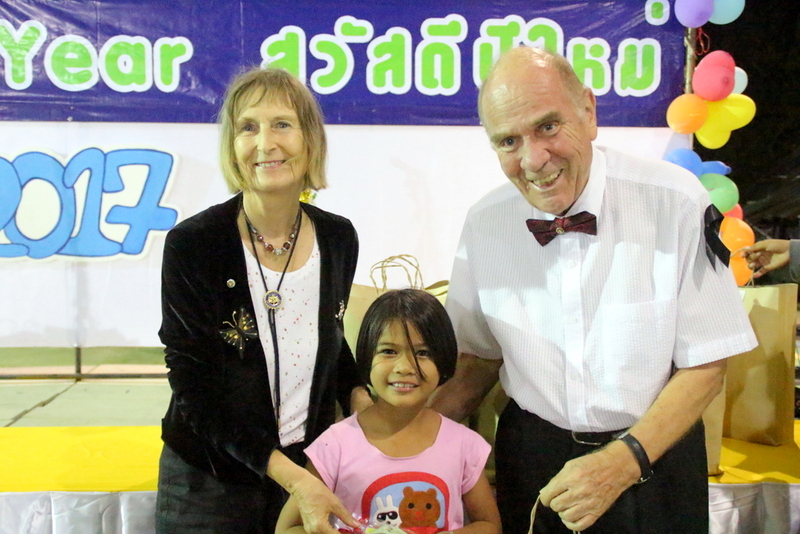 Dr. Margret and Dr. Otmar Deter give a gift to a little girl. At the same time, students showed their singing skills and received lots of applause. After everyone was full, the real fun began: Everyone, including the adults, could pick a number and received a nicely wrapped present. 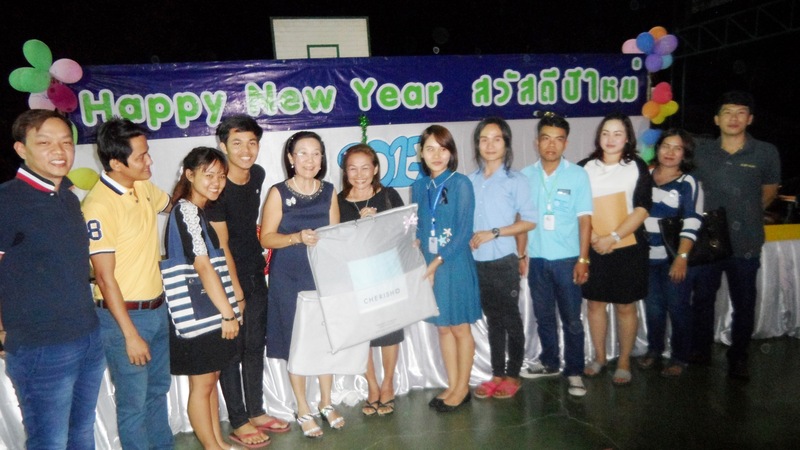 Radchada Chomjinda receives presents from her employees. Thanks to the generosity of the sponsors, all the children, employees and volunteers could pick another number and receive an envelope with money or gold chains inside. Radchada explained that giving away money to the children allows them to use it however they like, but also teaches them how to handle money carefully. Pastor Liebe and Dr. Margret Deter give presents to the kids. The Deter family also had a surprise for the children. 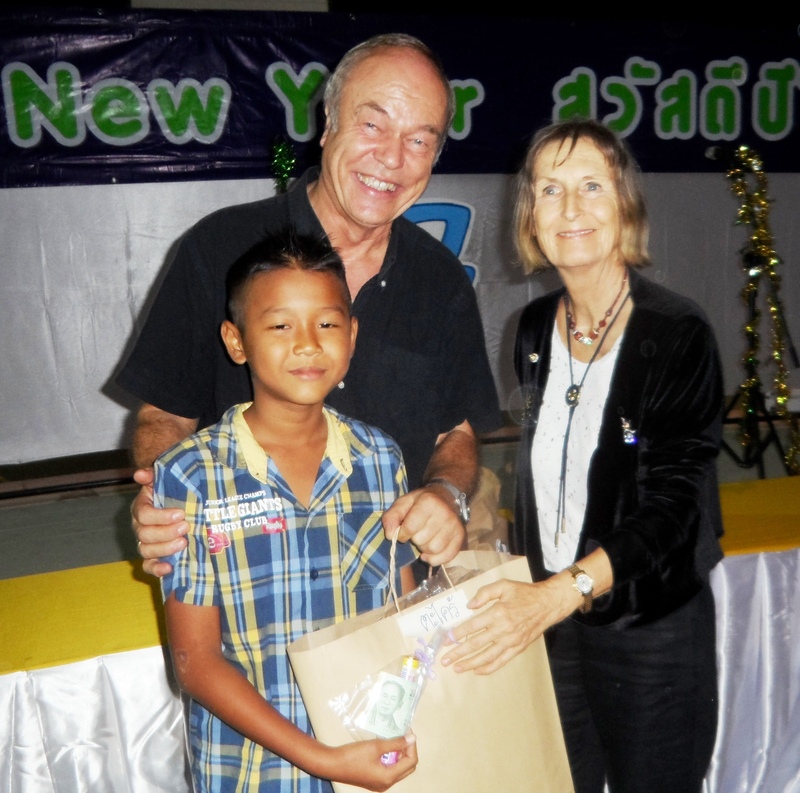 Margret gave a small bag with sweets to everyone and hidden in each was 20 baht. As the children ate the sweets they found the money, setting off squeals of delight.